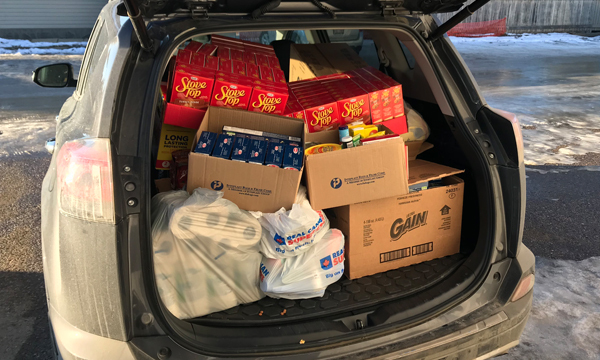 This last December 15th, 401 members from the Lloydminster Safeway and Superstore got into the spirit of the season by collecting food and household items for charities in town. The members from Safeway collected donations for The Olive Tree. They collected $275 in gift cards and a pickup truck full of food and household donations! Donations were presented to Becky Schille and Jana Lett from the Olive Tree. Some of our members who were present for the presentation were, Serena Nelson, Colleen Russell, Amanda Angus, and Darcy Viglas. They even had help from the community to get it there. Greenway Trucking stepped up and we extend a big thank you to both Donna and Greg for their help! On the same day, and right after this presentation, 401 members from Superstore also presented their donations to The Salvation Army. Shelly Welz and Daina Carpentier helped organize the collection at their workplace. 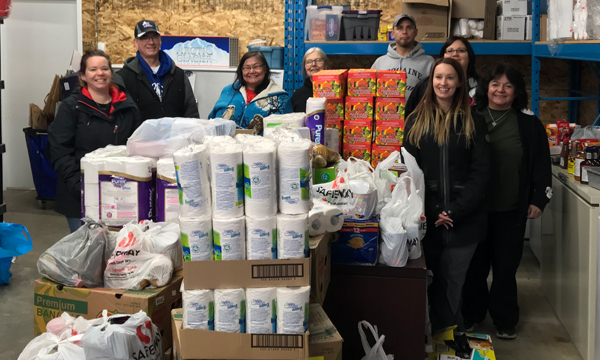 Members at the Lloydminster Superstore also collected $275 in gift cards and an SUV full of donations of various items. Relief representative Char St. Germain said, “the members wanted to do a little something to show their community pride and their Union Pride as well”. 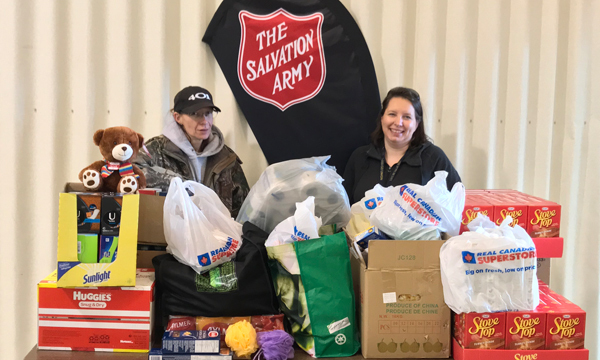 Members from both Safeway and Superstore started seeking donations around the middle of November and we are very impressed with all they collected in only one short month. Union Pride was most certainly on display in Lloydminster this passed Christmas season and we thank each and every member who contributed to make this such a successful community event. Union members don’t just work hard for their employers, they also work hard in their communities and we are so proud to represent a wonderful group of working Albertans such as these. 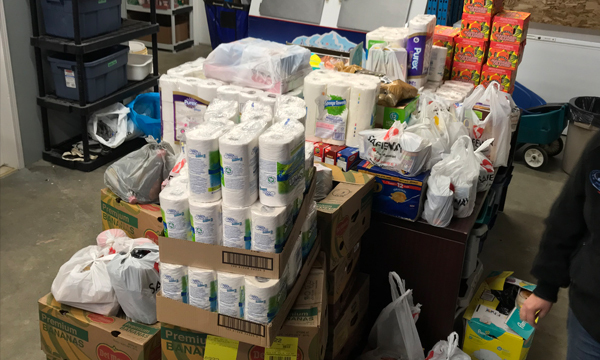 Superstore members had donations o'plenty!